Introducing '7 Idiom Activities to Get Your Students’ Creativity Flowing' - our third reference poster with 7 fresh and interesting ways to teach or review idioms. You can click the image below to view the full-size poster [HI-RES] for printing. 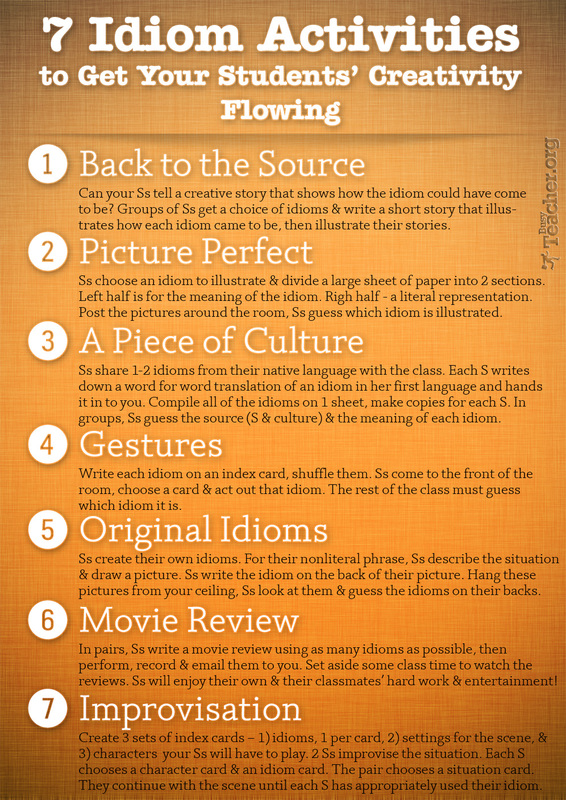 If you believe that these idiom activities are helpful and would like to share them with your fellow teachers, please click the Facebook 'LIKE' button above, tweet about this poster, pin it onto your Pinterest board or simply mention it in an email to your fellow teachers. Happy teaching!